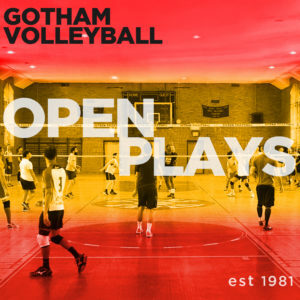 Gotham will offer GREEN Open Plays weekly at the Lab School, located on 17th Street. Registration is located on this web page, and opens each preceding Friday at 12:00 noon. Once registration opens, a section will appear asking some basic information along with a PayPal “Buy Now” button. This list is manually maintained. Please allow some time for your name to appear (only the first 7 are displayed).